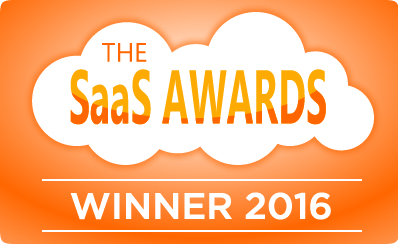 CUPERTINO, CA--(Marketwired - August 09, 2016) - Workato, a leading enterprise-class cloud integration and automation platform, announced it has been named the winner of Best SaaS Newcomer in the 2016 Software-as-a-Service Awards (SaaS) Awards Program. The program, highlighting excellence and innovation in SaaS, accepts entries worldwide including the United States, Canada, Australia, UK and EMEA. "As a leading SaaS solution for work automation and cloud integration, Workato has had strong growth this year, supported by our robust user community. We are very pleased to be a recognized winner in cloud and SaaS computing," said Vijay Tella, CEO of Workato. "SaaS technologies are rapidly transforming how teams collaborate to provide service to partners, customers, prospects, and each other. Workato's focus is continuing innovation in SaaS, where we simplify how people do their jobs to help drive growth and success, and we take pride in being named the Best Newcomer in this space." The founders of Workato invented integration platforms at companies like TIBCO and Oracle. Now they are bringing the power of an enterprise-class integration platform with the ease of DIY to businesses of all sizes -- from SMBs to Fortune 500s. Workato's mission is to provide users with simplified ways to handle every automation use case, every app combination, and every app customization, without the need for complex code. Currently, Workato's community boasts more than 100,000 recipes shared by more than 14,000 businesses. Recognized as a leader in Forrester Research's July 2016 report, The Forrester Wave™ iPaaS for Dynamic Integration, Q3 2016. Being named a 2016 Gartner Cool Vendor. Honored in The Channel Company's 2016 Emerging Vendor listing in CRN.